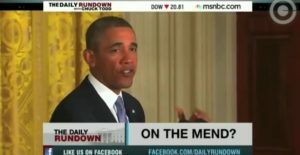 WASHINGTON — The bad news continue to roll out regarding U.S. President Barack Obama’s health care law. HealthCare.gov, the online enrollment website for the health care law, has faced significant errors and failures since its launch in October 2013. Reuters reported that the website cannot handle thousands of Americans and their appeals to correct errors, which occurred when they signed up for health care. Even Michael Moore, a prominent liberal, called it “awful”. The Washington Post reported that 22,000 people have their reports sitting in a government computer database, untouched by government employees. The reports detail the problems that these people had in enrolling online. Yet the information was not made public by the Obama administration. And, it would not make up for the mysterious numbers behind ObamaCare enrollments. The website still has a 10% failure rate, which is abnormally high for a website. Also, the administration has put out lump estimates of enrollments, not distinguishing them between actual ObamaCare enrollments and those for Medicaid.